Explore San Juan la Laguna, full day of cultural sharing. Learn how a village has embraced its culture. Weaving cooperatives natural dyed hand spun cotton fair trade textile village. Full day trip takes you through this interesting Mayan village. San Juan is unique in all of Guatemala for its special model of sharing the Mayan culture, village life, and improving the standard of living many of its inhabitants. This tour gives the visitor a little bit of all that Guatemala has to offer. Easy walking involved. Approximately 6-7 hours. English-speaking guide. Several famous painters are from San Juan and we visit their galleries to see them at work. The village has over 40 public murals depicting important elements of the Mayan culture, the Mayan calendar and counting system. 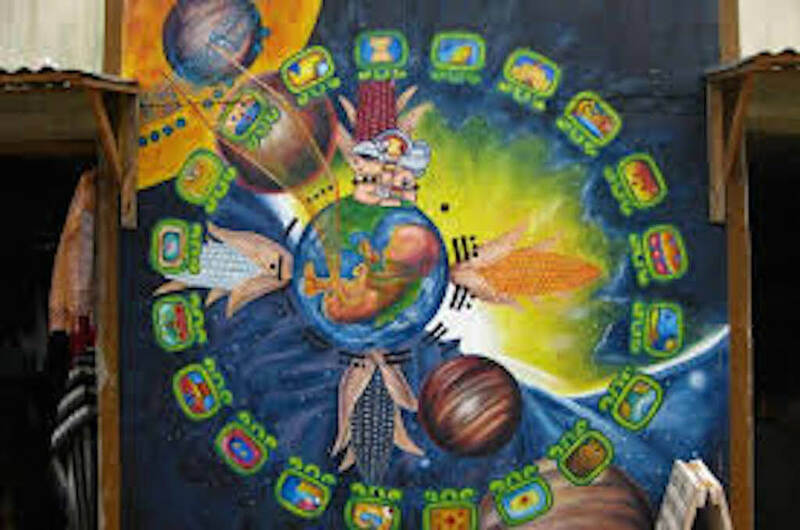 Your guide will explain the meaning behind each mural; including the Mayan story of creation, ceremony, base 20 counting system and the development of mathematics and the 5000 year old calendar. 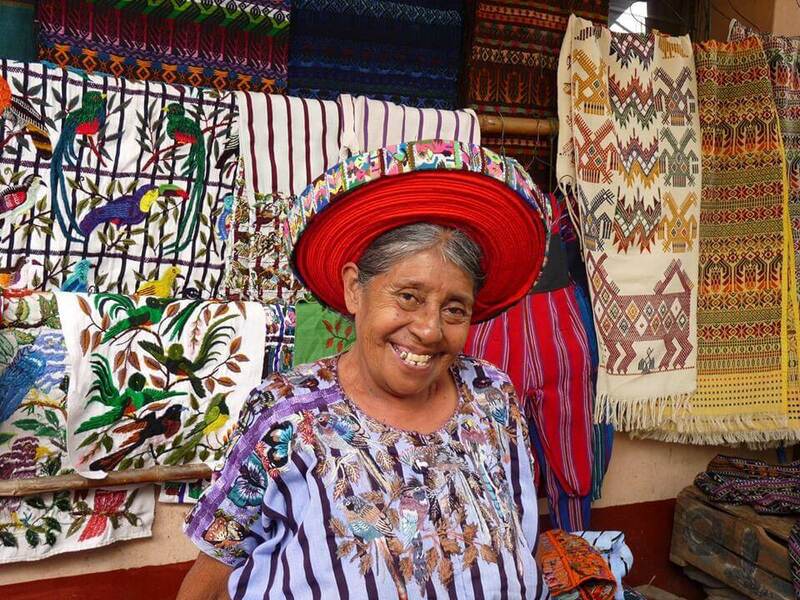 Women Weavers and Casa Flor Ixcaco includes demonstrations showing how the beautiful fabrics are made; from harvesting the cotton, to spinning it into yarn, dying the yarn, and then creating one of-a-kind fabrics with the back strap loom. The Qomaneel center is a medicinal and curative herb garden operated by the midwives of San Juan. You are guided through the garden and given samples of each plant along with a description of its curative powers. All natural soaps, teas, and shampoos are made on the premises. Learn about the cofradia system and how it helps keep the traditions, both Catholic and Mayan. Meals & refreshments not included.